This gallery is a collection of photos from our Cattle Dog events. The gallery displays either as a slideshow or as a list of thumbnails you can select and scroll through. You can select how you view the photos by clicking the [Show Slideshow] or [Show Thumbnails] to change the view. Each photo is from one of our sheepdog events and is dated, but we’re working on more descriptive labels. We’ll also be adding many more photos in the near future, so stop by again. Thanks so much for visiting our site, we hope you enjoy these two dimensional representations of a number of our recent competitions. 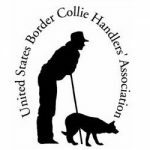 Please see the bottom of the home page for our newsletter signup so you can find out more about the US Border Collie Association. Relax and enjoy the show!